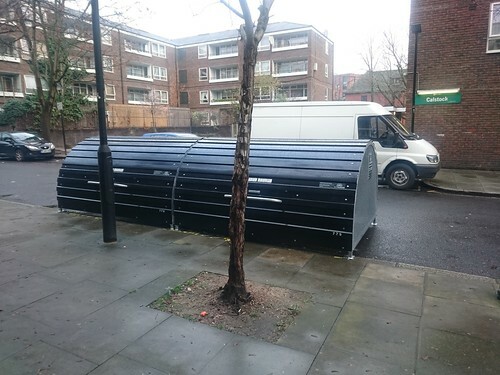 Our first two Bikehangars were installed in College Place in September 2014 after three years of campaigning by local residents. 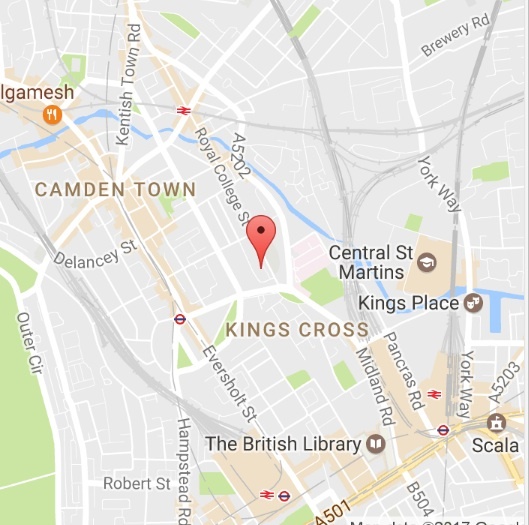 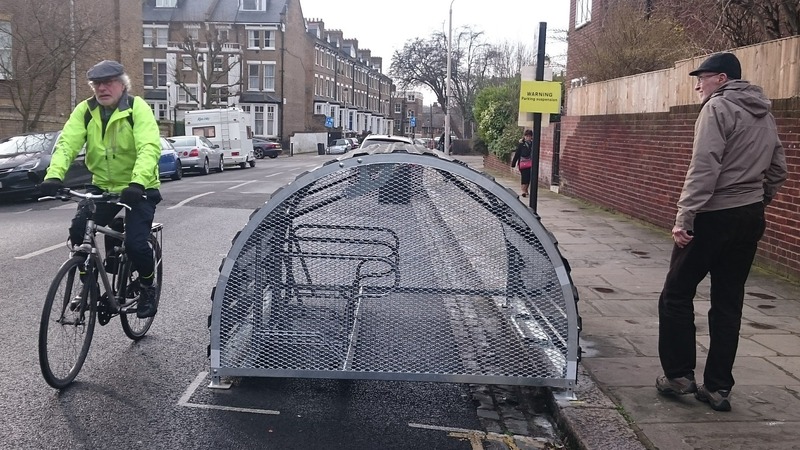 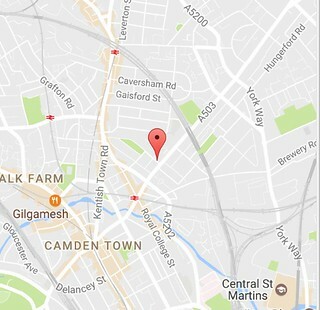 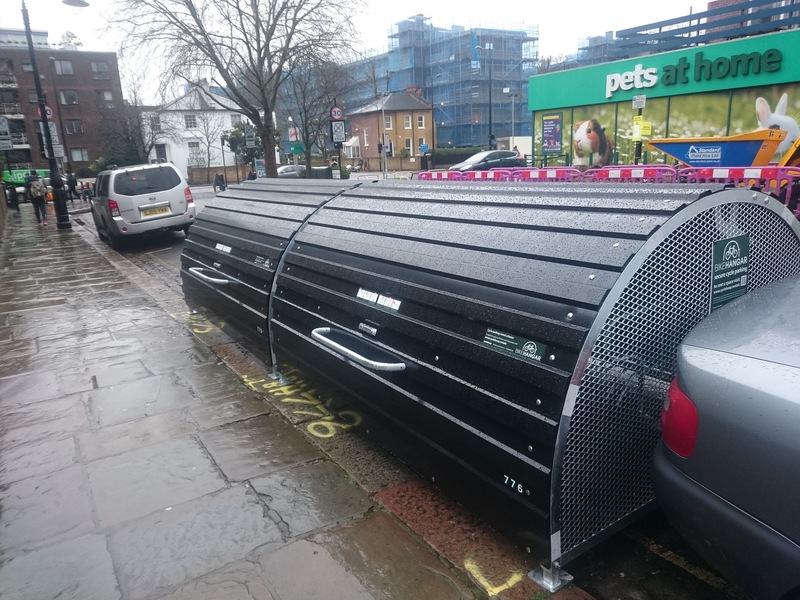 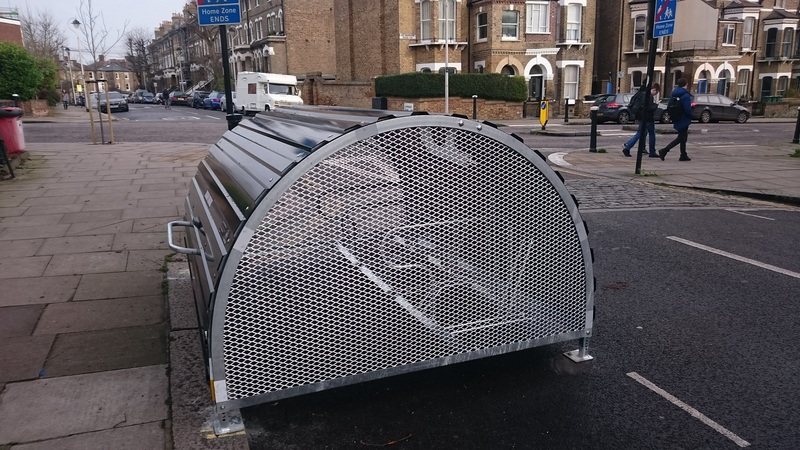 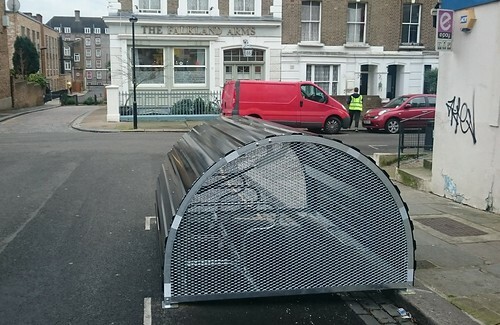 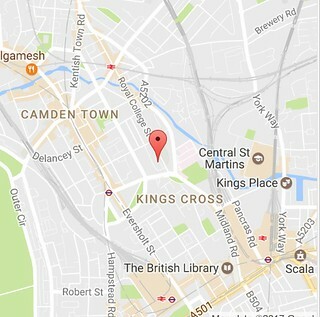 We had expected this to be followed up with new installations each year, but a year passed until November 2015 when Camden consulted on a new set of 27 Bikehangars at 19 locations. 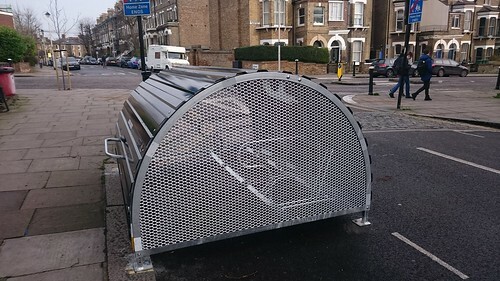 There were objections to some of these and it took over six months before the results were decided in June 2016: of the locations, 14 were approved with 21 bikehangars to be installed. 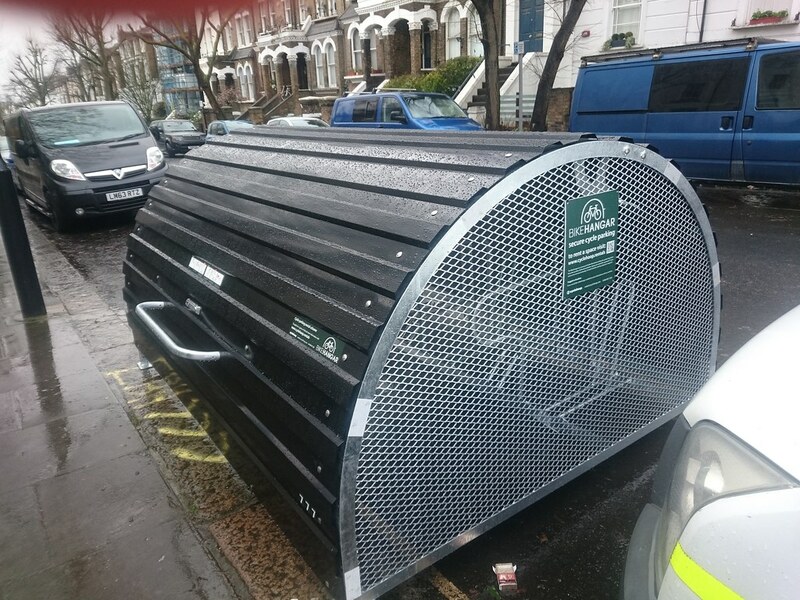 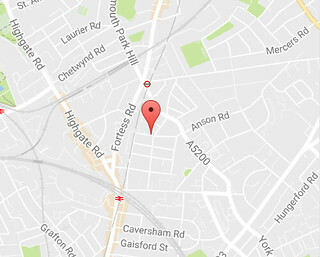 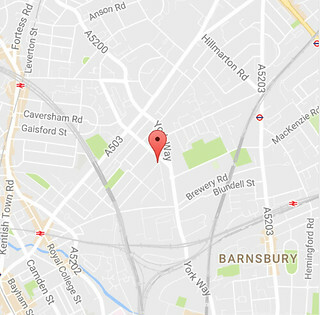 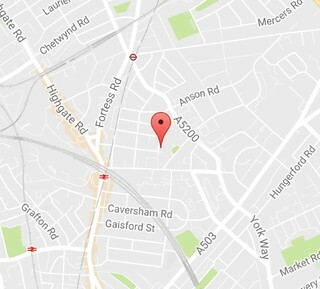 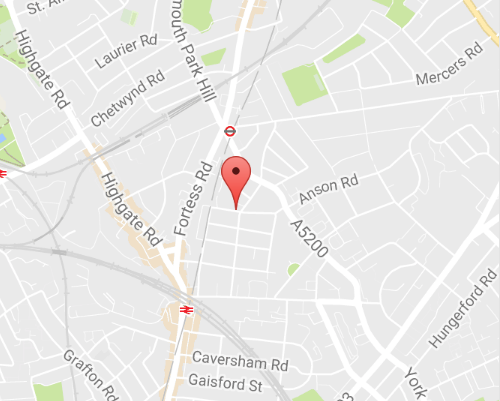 These are in Belsize Avenue, College Place (their second pair), Estelle Road, Glenbrook Road, Goldhurst Terrace, Montpelier Grove, Ospringe Road, Plender Street, Rochester Road, Ryland Road, St. Augustine’s Road, South Hill Park, Sumatra Road, Westbere Road. Then there was yet another delay in publishing the traffic orders at the end of December 2016, when we were promised that the Bikehangars would be implemented in phases from the second week in January with all of them being in place by the first week in February 2017. As the bikehangars are installed during the next few weeks, they will be added to this page. 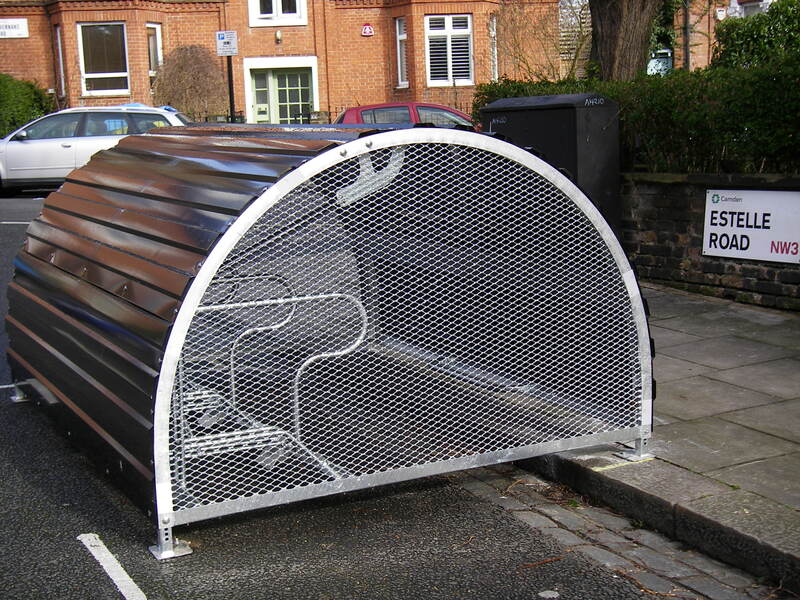 Have a look at our BikeHangar page. 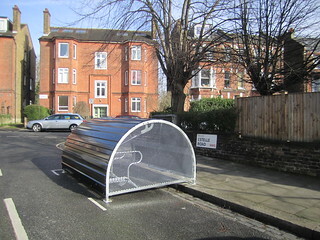 It contains information about Bikehangars and a link to the Cyclehoop website.